Click here to fill out the Modz N Repairs Testimonial form. Jason doesn't deserve 5 stars or 4 stars...He deserves 10 stars. He is amazing at what he does. After he did my xbox, i wouldn't give it to anyone else. I already recommended him to 3 people and hopefully they'll be contacting him. His service is top notch and he's very prompt. Had issues with my ps3 console. Reasonable rates, quick same day emerg service. Very satisfied with the service and helpful nature Jason was. Thanks again!! I would like to say thank you for all the repairs. The xbox 360 still works two years later and the PS3 slim works great. The service is really great. I would recommend Jason to anyone who has a problem with their system. Great service! Had an RGH done from him, and I love it. I'm super happy with my ps3! Thanks for your work! MoDznRepairs is the best! Not only did they get my PS3 repaired in amazing time, but they did it for such a great price! If you need Repairs this is definitely the place to go! Ps3 was overheating with the fan running full speed within 5 minutes of game play. ..problem was fixed in a day with a new processor thermal paste added thanks again!! My 60gb reverse compatible ps3 recently developed the GLOD after a 4th reflowing. I went looking for a place that could repair it, and lo and behold I discover Modz N Repairs. I'm looking through the site, and it says they have reverse compatible reballed ps3's for sale. "No way" I think to myself "these things are all but IMPOSSIBLE to find anymore. Must be just a missed page update." So I call, just to see if they do have any, and yes! Yes they do! So I get to talking with Jason, and we diagnose what's wrong with my old ps3, and I order a replacement one. Super helpful, great communication, great prices and fast shipping. I will definitely be sending my old and busted ps3 into them for repair, and I am ecstatic with the replacement that I have as well. A class act all the way, I greatly look forward to dealing with Modz N Repairs more in the future. Great Service & Fast Shipping!! I had a fantastic experience with the guys at Modz N Repairs! Before sending in my Xbox 360 slim for a repair I emailed with them back and forth about the problems I was having and they responded quickly and politely. I shipped my console from America after discovering them online, so I placed a lot of trust in them with my system. They never let me down. They clearly communicated every aspect of the process. Even when they were busy with other repairs they made time to keep me updated on the progress. After receiving my Xbox 360 back it works flawlessly. They even cleaned out the fan for me! The price was fair and very well worth it. Needless to say, these guys are awesome and I'd definitely do business with them again. I highly recommend them. ModznRepairs were great guys too deal with. After one of my machines went down, the Modznrepairs guys were there giving me options on how too fix it. When we couldn't fix it (because i lost a very important file) They were very helpful in getting me a NEW console ASAP...quick shipping, great service. HIGHLY RECOMMEND!!! What can i say?!!! This company brought my dead 5-year old PS3 back to life!!! I was very impressed by the level of work done and professional customer service. Highly recommended to anybody needing console repairs!!! Purchased a 3.55 PS3 Slim Console from the all the way in California. System arrived as described and only took 3 days to get here. 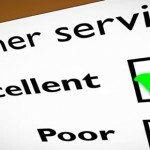 Great online customers service! Highly recommended!! 'Unable to read disk' and other related Wii errors are no more. I was long past Nintendo warranty and looking for a solution other than buying new consoles - I had 2 to contend with. Internet self-help fixes were abundant, but more likely to cause additional damage to the console. Then I found an inexpensive solution - replace the DVD drive itself. I had the tools to do it properly, now I just needed to source them. The Amazon/E-Bay process would take too long, and that's when my search found ModzNRepairs. After contacting them, I submitted payment (PayPal) and received the replacements a few days later. I now have 2 working Wii consoles again without breaking the bank, and the family can finally get back to enjoying their games. I would not hesitate to contact ModzNRepairs again in the future. Had the rings of death on my 360. Brought it in and was fixed no problem. I reccomend all my friends to this place. Our PS3 stopped reading any disc we would insert. Found this company on kijiji and have to say I could not be more happy with our decision to get our ps3 repaired. We were in and out within 20 min and our playstation runs just like new again. Thanks a ton guys! Our Nintendo Wii works like new. So glad we found Jason to fix it. The 6 month warranty made our decision to repair an easy one. We were able to drop the machine off on a Friday and pick it up by Saturday evening! Great for out of towners like us. This guy does quality work. I would definitely go back there for more repairs if I need to. Thanks man ur awesome!! Modz N Repairs has the experience! I had a ps3 that ylod seven different times and I reflowed it each time only for it to break again. So then I stumbled upon this site and asked Jason on the chat what I can do and I was able to repair my ps3 for GOOD! The support was excellent and Jason answered every one of my questions thoroughly. I would recommend Modz N repairs to anybody looking for repairs Mods or just general help. Thanks Modz N repairs! Had the nasty YLoD on my PS3. brought it in with me from out of town and they were able to fix it within 24 hours so I wasn't inconvenienced at all during my stay in Edmonton. $90 dollars well spent. Will gladly deal with again in the future. Got my XBOX fixed in less than 45 minutes for $40. AWESOME! This place ROCKS!! Fixed my ps3 in no time ,works perfect, good service it was very nice to meet you. ModzNRepairs is great, I have brought numerous machines for modifications and repairs and have always been very happy. Jason took the time to explain the systems rather than rushing through. I have dealt with other companies in Edmonton for modding and by far Modznrepairs is the best. My xbox had the dreaded stuck disc tray problem and it took him less than 15 minutes to take it all apart and fix in front of me while making it lok super easy. my xbox works great now. I would recommend! Took my sons xbox in for a repair. The work was done on the spot in no time, it was amazing to watch how expertly he repaired the system. The cost was very reasonable. Would definitely recommend him. Amazing Work & Great Advice!! I phoned Modz n Repairs on the morning of November 12th 2012 (a holiday for most people) needing a repair on my sons e-box in time for his birthday the next day (something that I didn't tell him). Took it in an hour later watched him do his magic and was on my way home within half an hour for a very resonable price with a six month warranty. To top it off he gave me some very sensible advice on how to make the x-box components which had failed last a considerable time longer. What more could you want. All I can say is the man knows how to do it right. Thanks. yours truly Francis Luce. A+ work, job gets done fast, and good prices! All around great! Have gotten both mods and repairs done to my xbox 360 and nothing but great things to say! Highly recommended and will definitely be back! Just wanted to say thank you for repairing my PS3!! Hi Jason, I was very impressed with your business. You have a great setup and provide an excellent service. Thanks again for the fast repair and upkeep tips. you know that changing the laser fixed the problem completely. Thank you so much. i have a very happy wife now : ) i am also going to tell anyone i know with gaming systems to go see you if its broken or they want it upgraded. Every time I have taken my Xbox 360 into Modznrepairs weather it be for fixing or modding, Jason has always taken care of everything with ease. The prices are very reasonable and the quality is amazing. I will continue to take my console to him in the future and will continue to recommend friends to do the same. If you ever have any questions he is very knowledgeable and will answer them in a very short time. I brought in my ps3 on the Monday Victoria day long weekend and you replaced the laser and diode. I just wanted you to know my ps3 works like new and loads faster than before. Awesome job and well worth the price. Thanks very much for the great and friendly service. Highly recommended & very knowledgeable!! had a problem with my disc drive, he coulda told me i needed a replace and charged me 80 but he didnt, he did what needed to be done which was only $40 of work, really fast, knowledgeable and pleasant. Definitely going here again for anything else i need. Just wanted to say thanks for installing the new laser in my ps3. I was just going to come back the next day, but he offered to have it done in 15 minutes for me. And he was not kidding. Thanks again Jason, my ps3 is now reading discs again perfectly. Thank you so much Jason for fixing my PS3 and Xbox 360 so quickly. Both work great!! I will definitely be back if I have any other problems with my other consoles. Your the man! Thanks Jason! Everything is working like a charm. I really like this fan upgrade as well! I can sure tell my Playstation is running alot cooler now. I will be sure to recommend you to others in the future. I am Very happy with your service! Take care. OMG, so happy I found you! Thank you so much for the fast, quality service! Our Wii and Xbox are running flawlessly. I will certainly recommend you if I hear of anyone having problems like we did. Thanks again Jason! I've been dealing with Modznrepairs.ca, for about year now and they've never let me down. They are extremely quick and know their stuff. I will continue to send business their way. I was very pleased with the prompt and amazing work that Jason of modznrepairs.ca. I called him with my terrible news of my wii, and within 24 hours of contacting him, we met. He then repaired it within the hour of my visit. It works amazing, as if it was never broken to begin with. He was amazing and I recommend him to anyone for the game system repair needs. Thanks Jason...ps3 works great! Others that are in need of any type of gaming system repairs I HIGHLY recommend Jason. He took the time to show and explain to me exactly how he was going to repair my yellow light of death problem. Quite the process I must admit. I was a little skeptical at first, but after seeing his setup and having the full run down of the repair process I was very happy with my decision. Pricing was fantastic and my console was only with him for 1 day. Very pleasant and smooth process. DS looks awesome thanks! Bring your systems to Jason with modznrepairs he has fixed my xbox and now my ds!! Called up Modz N Repairs when my new Xbox 360 slim started to not read my games. It was quite a drive to his location so Jason offered to do the repair at my my place. He installed a new drive for me, tested out the system and was in and out in about 30 minutes. Way better than the 2 weeks or more I would of had to wait sending it back to microsoft, and didn't even need to leave my house! Fantastic service thank you sooooo much! Hey Jason, I wanted to thank you for the amazing service with the repair of my Xbox 360 Elite yesterday. I will be telling everyone I know about you and will come back again for sure. Keep up the good work! Hi Jason, I just had my xbox repaired by you today and wanted to let you know that changing the laser fixed the problem completely. Thank you so much. I have a very happy wife now : ) I am also going to tell anyone I know with gaming systems to go see you if its broken or they want it upgraded. Simply Amazing! Very respectful, curious, honest, Reasonable prices, Fast and excellent service with Quality repairs! I will definitely send business your way!!!! Thank -you so much! I love the extra service and time you take to explain and answer questions, as well as, updates on progress of repairs! very impressed. Top notch service and a real nice guy to deal with. Modznrepairs really exceeded my expectations with my xbox repair and firmware modification.Very smart and a real pleasure to deal with. I had a ps3 that was glitching and showing me a wide range of strange colors while I was using it making all games and movies I tried to use unplayable. I had it at another repair shop for over 18 days and in the end they said the repair did not go well as now the system was showing no video and there had to be a problem with the actual motherboard. I called modznrepairs and they informed me that was not the case and that the processor was likely completely fried, and that a system reball and new processor would fix the problem. Sure enough a couple days later I received a phone call that my ps3 was working and that I could pick it up anytime. My ps3 was turned on for me and to my surprise it actually worked! I am absolutely amazed with the work that these guys do! Thanks. Hi, I ‘m not sure if you remember me, my name is Andrea and you fixed a Playstation for my son about a 8 months ago or so and I just wanted to let you know how happy we are with your work. The playstation has been running fabulous and it is on for about 8 hours a day...lol Anyways thanks again for your terrific repair, it is greatly appreciated! Great Work as usual! I have had my Wii, PS2 and now my new Xbox modded by Jason! He is extremely knowledgeable and it really shows. After my Xbox was dropped off he called me back within 45min to inform me the mod was completed. I was like wow! He showed me everything working and answered all my questions. I couldn't ask for more. Others looking to have any of their gaming systems worked on I would definitely recommend you choose modznrepairs, I have checked around and he has the best prices in town and his service is excellent. Thanks again! We are a professional video game repair business fully committed to providing our customers with the best quality repairs and modifications in and around the Edmonton area.